Most people call for craftsmen and insert plastic or aluminum frames for changing windows. Their main disadvantage is the relatively high price and the need to use special equipment during assembly. Can I make a window frame with my own hands? What tools and materials are needed for this? Figure 1. 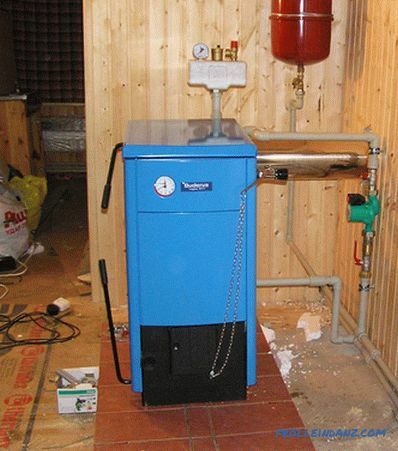 Wooden frames are environmentally friendly and have low thermal conductivity. 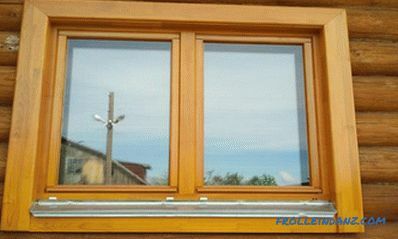 After all, for glazing of a country house or greenhouse windows it is not at all necessary to install a plastic frame - a self-made construction made of wood is quite suitable. To make a homemade wooden frame, you must purchase completely dry wood in the form of bars or their glued version. Many use plywood for making the frame. We need a drawing and joinery tools: saw, chisel, hammer. Once everything is acquired and prepared, you can begin to work. 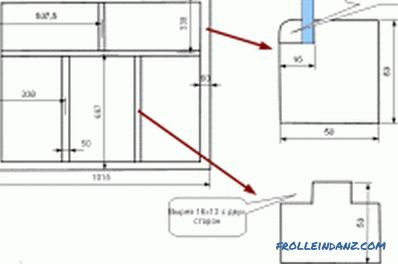 Drawing of a window frame. 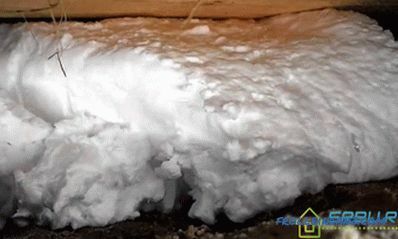 A very good material for work, often used in construction, is glued wooden beams. You can use its usual version of solid wood, but it increases the likelihood of the frame to lose shape due to the effects of precipitation. 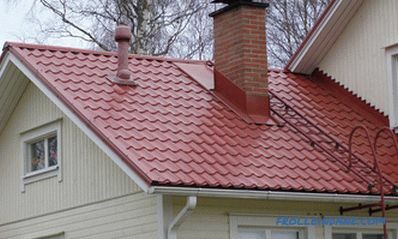 This can be avoided by covering the tree with a special protective compound. First of all, a window box is made. To do this, cut a groove in the board of 5x15 cm so that the board looks like a letter “G” in profile. This comb is needed for the integrity of the future window. 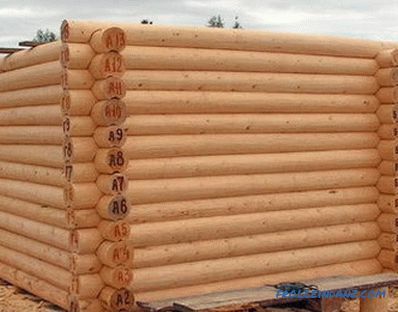 Exactly calculate the size of the structure and begin to cut the boards, each of them should be divided into four parts of the desired size, and they are interconnected. The most reliable option for such an assembly is to use a spike and a groove. 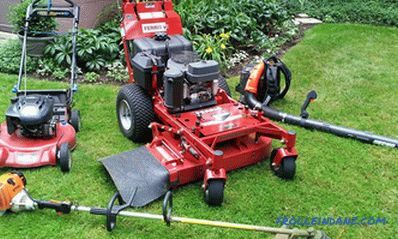 The following tools are necessary for their quick production: chisel, hammer and hand saw or electric cutter. The grooves make on the vertical parts of the frame. On the horizontal segments cut out spikes. After all these parts have been manufactured, they are coated with joiner's glue and the parts of the box are joined, not forgetting to observe the accuracy of all joints with a metal angle 90 °. The next stage of the work is the strengthening of special window squares in the corners of the ends of the frame. They are purchased in the construction market or in the store, and they are necessary to give the desired rigidity of the box. Give the glue some time to dry and proceed to making a frame for the moving part of the window. The timber for it should have a smaller section than for the window box. Therefore, its cross-section is reduced so that the gap between the frame and the main box is in the range from 0.1 to 0.2 cm. 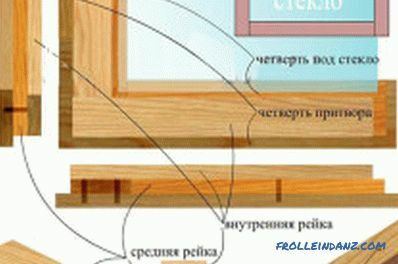 Connect the frame parts in the same sequence using spikes and grooves, so as described above in the manufacture of the window box. After complete assembly of the inside of the window, attach it to the box with the help of hinges. You must first insert a glass sheet, although this can be done after the frame is fully assembled with your own hands. The design is ready for operation (Fig. 1). If you try to make the profile of factory-made frames at home, you can spoil the purchased material. 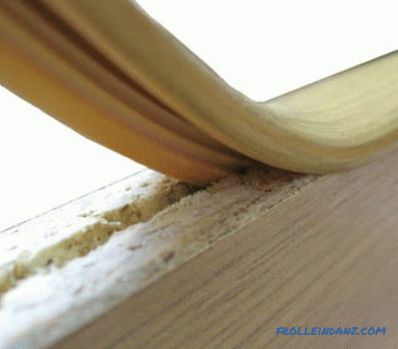 Therefore, to eliminate this problem, you can make a frame with your own hands from strips cut from a sheet of plywood. For this, it is quite enough to have four such bands, which must be joined into a rectangle. At the same time, do not forget to set a right angle with the help of the measuring angle on the ends of the structure. To get the desired profile, the frame is assembled from several such rectangles that have different widths. At the same time, do not forget to make accurate measurements, otherwise the design will turn out to be co-sectional. In such a "hybrid" way of plywood, you can get windows with shaped profile. This method is suitable for both deaf and multi-fold window constructions containing one, two or three rows of glasses. For a frame with a single glazing row, it is enough to have 8 plywood strips connected in 2 rectangles. To fix glass sheets, the second layer of strips must have a width less than that of the first rectangle. The obtained parts are fastened with screws. If two or three rows of glasses are inserted, then all parts are coated with wood glue. Window squares made of metal, handles. Pencil. Paper (for window drawing). Anyone who has the initial skills of working with a tool, and a desire to do something with his own hands, can make window frames by himself. The main thing - do not be lazy.